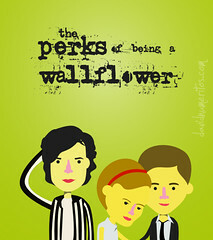 Despite Emma Watson’s ungodly short hair, I was rather enjoying the newly-released (to the Web) movie The Perks of Being a Wallflower. Then came the scene where the film’s trio is riding in pick-up truck through a tunnel after a party. On the radio came what Sam (Emma Watson) called “the perfect tunnel” song where she stands in the bed of the pick-up with the tune blaring while what little hair she has blows in the wind. 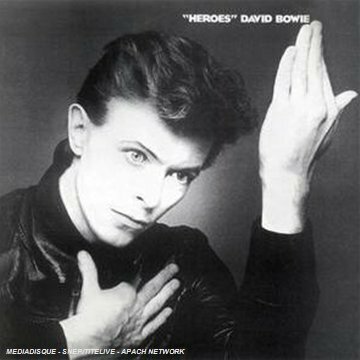 The song was “Heroes” by David Bowie. And I refuse to believe that the trio didn’t know that. After all, they are big fans of The Smiths and perform in “The Rocky Horror Picture Show.” Sam digs cool record stores and vinyl. The film takes place in the early ’90s. It has to be no later than 1993 because that’s when one of the songs featured in the film, “Low” by Cracker was released. And we know one of their close friends was a huge Ani DiFranco fan. Based on all that I”m confounded they didn’t know the song. You’d think they would at least recognize the singer as David Bowie. At the very least. I don’t think you have to be a big Bowie fan to know that. I’m not. A more obscure artist and song should have been chosen. Sounds a bit dodgy to me. Other than that…the movie was swell.